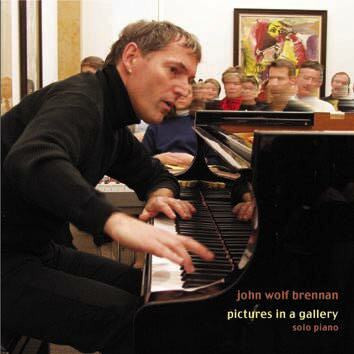 The first solo piano CD by John Wolf Brennan in Leo Records catalogue. It's been recorded live in two different museums in Switzerland and Russia. 27 instant compositions have been inspired by the great paintings exhibited in these museums. As Stuart Broomer writes in his notes, John Wolf Brennan is blessed with a very quick mind, so his improvisations are always stretching to and from form to such an extent that we can readily confuse the spontaneous with the pre-formed. The CD is accompanied by a full colour booklet.